Eastbound and Down is easily one of the most overlooked shows of the last decade. Co-created by Danny McBride and Jody Hill, the short series may only have given us 29 episodes, but it gave us one of TV’s greatest characters, Kenny Powers, played to perfection by McBride. Powers is a remarkably complex character, a deeply troubled, sensitive man barely hiding behind the vulgar, boorish exterior he presents to the world. Many of McBride’s characters since have been diminished variations on Powers, but each showcasing McBride’s strengths as an actor, writer and comedian. 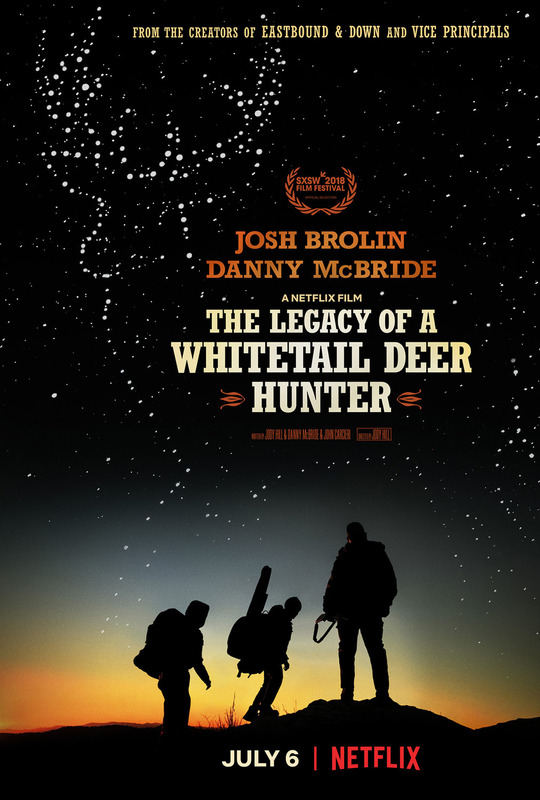 McBride and Hill have reunited on the new Netflix original film The Legacy of a Whitetail Deer Hunter, which is both a return of the troubled alpha male archetype they perfected and a deeper exploration into the kind of emotional territory that Eastbound would touch on in its finest moments but never felt wholly appropriate for the characters inhabiting its world. 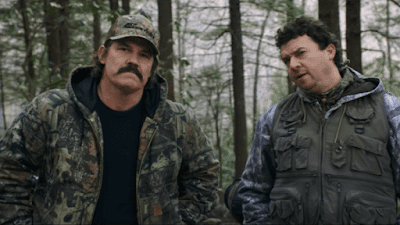 Josh Brolin, who is certainly not hurting for work these days, plays Buck Ferguson, star of dozens of popular deer hunting videos. Reeling from a couple of lonely years after the failure of his marriage, Buck decides to bond with his 12-year-old son Jaden (Montana Jordan, Young Sheldon) over the ultimate rite of passage into manhood: his first hunting trip. With trusty cameraman Don (McBride) in tow, Buck sets out to make the greatest video of his career while re-establishing a relationship with his son. Needless to say, thing do not go exactly as planned. Co-writers McBride and Hill (working here with John Carcieri) clearly have a knack for this particular type of character. In less capable hands Buck could have been a stereotype, or an extended “manly man in the woods” joke, but Brolin sells it effortlessly. Brolin’s Buck defies the expectations that come with the misguided alpha male type and gives a performance as touching as it is maddening, veering towards relatability where others would have easily gone off the rails. McBride gives himself a meaty comic relief role, restrained as his typical roles go but still packing a raunchy edge and a whole lot of heart. But of the three men whose exploits comprise 90 percent of the film, the young Jordan is the clear standout. Jordan’s Jaden is remarkable, the kind of juicy role that every child actor dreams of playing, bringing a maturity and intelligence to a character who could have been just another bratty kid. Jordan is given a lot to do, and he makes it look easy, holding his own with the two experienced adults. The chemistry between the three men, in their various on-screen combinations, is flawless, to the point where you feel like these guys could have easily spent a few days in the woods themselves. 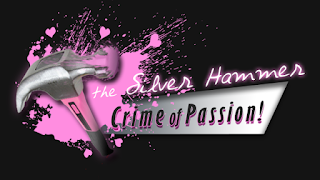 The writing and Hill’s direction represent a clear step forward for all parties involved. 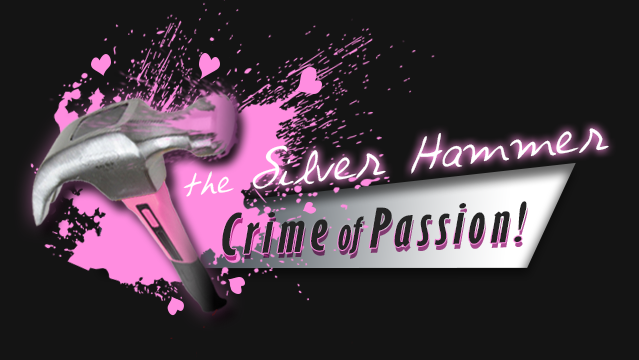 Free of the restraints of catering the action to a strong, fully-formed character like Powers, they can step back, find a little more grounding, and give everyone plenty of opportunity to shine. You feel for every single one of these characters, no matter how angry or confusing or just plain stupid their actions may be. The strong performances of all three elevate these caricatures to characters, instantly and completely selling you on their emotional journeys. With a concept like this, it’s easy to fall into the usual “manly man” and “father/son bonding” storytelling traps, which Legacy certainly does plenty. With its strong character work and sharp writing, Legacy gracefully overcomes these minor setbacks. Understandably little is expected of Netflix original films, despite the high quality of many of their TV series. For every acclaimed Okja or Mudbound, there are seemingly plenty of Brights. Though it’s hard to see Legacy rising to quite the acclaim of the former, it’s still warm, funny, and wildly entertaining while feeling grounded and real, with a surprising emotional impact. As father-and-son stories go, Legacy is one of the best in years, hitting all of the usual expected beats while still feeling fresh and engaging. 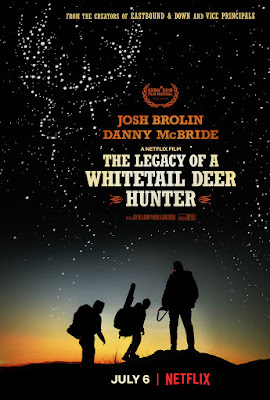 The Legacy of a Whitetail Deer Hunter is a triumph for all parties involved, certainly for the great actors but particularly for Hill and McBride, proving that Eastbound and Down was no fluke while showing plenty of finely honed talent and maturity, making the viewer anxious to see what else this talented duo has in store. Though Netflix is full of plenty of serviceable and comfortable but ultimately unremarkable content, those who seek out The Legacy of a Whitetail Deer Hunter will find one of the service’s true gems.